The Steelers are making a significant change ahead of their biggest game of the season. ESPN’s Field Yates reports (via Twitter) that the team is placing kicker Chris Boswell on injured reserve. The team has signed kicker Matt McCrane to take his place. After making the Pro Bowl last season, Boswell has struggled mightily in 2018. 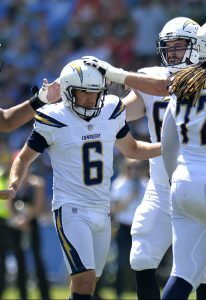 Through 15 games, Boswell has converted only 13 of his 20 field goal attempts, with his 65-percent mark ranking dead last among eligible kickers. The 27-year-old even struggled on extra points; after having made at least 94-percent of his attempts through the first three seasons of his career, that number dropped to 89.6-percent (43-for-48) in 2018. Boswell seemed to have a rebound game during last weekend’s loss to the Saints, as he made his two field goal attempts and two extra point tries. Many attributed the kicker’s struggles to the yips, and his placement on the IR doesn’t necessarily mean that he’s been dealing with a nagging injury throughout the campaign. It’s more likely that the coaching staff still didn’t feel good about Boswell’s prospects heading into Week 17 and the postseason, and his placement on the IR allowed the organization to keep him on the roster. 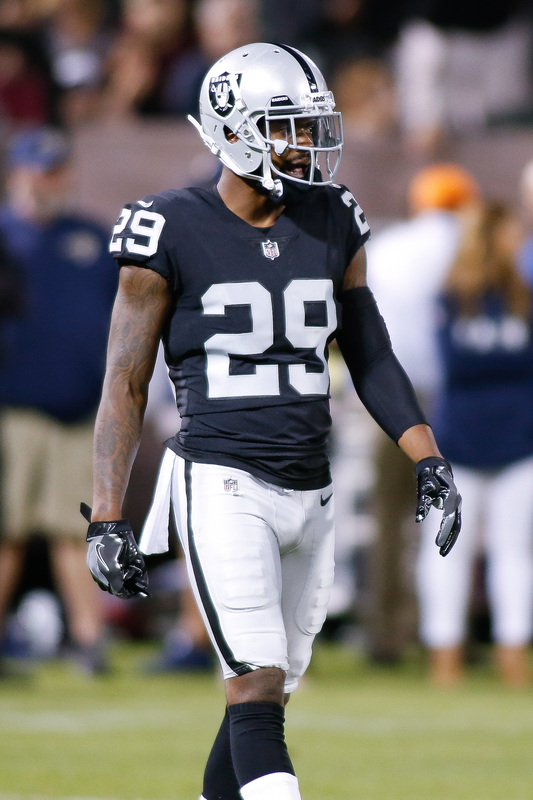 McCrane, an undrafted rookie out of Kansas State, has bounced around the NFL this season, spending time with the Cardinals and Raiders. 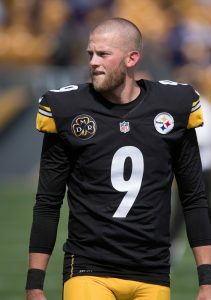 He appeared in four total games with the two organizations, connecting on five of his nine field goal attempts and all five of his extra point tries. Graham Gano has been the Panthers’ kicker since 2012, and he’s made 13 of 15 field goal attempts this season. But he’s run into trouble recently, and those issues have overlapped with Carolina’s three-game losing streak. The Panthers are exploring other options. They brought in kickers Chandler Catanzaro, Caleb Sturgis, Sam Ficken and Matt McCrane for workouts Tuesday, Sirius XM Radio’s Adam Caplan tweets. Gano missed a go-ahead 52-yard field goal in Carolina’s loss to Seattle on Sunday and missed an extra point, one of the three he’s misfired on this season, in a one-point loss in Detroit in Week 11. For the season, the 31-year-old specialist is 28-for-31 on PATs. He missed three extra points in each of the past three seasons. Sturgis and Catanzaro saw the Chargers and Buccaneers, respectively, replace them midway through this season. Ficken served as Greg Zuerlein‘s injury replacement, but the Rams cut him prior to Zuerlein recovering; Ficken missed 2 of 3 field goal tries. McCrane went to camp with the Cardinals and received a four-game opportunity with the Raiders. Said opportunity included four missed field goals. Carolina and Gano agreed to terms on a four-year contract in March. It would cost the Panthers more than $5MM in dead money to cut Gano now. At $4.25MM AAV, Gano is the second-highest-paid kicker in the game. With Phil Dawson expected to return from injury this week, the Cardinals have moved on from their placeholder at kicker. Darren Urban of AZCardinals.com reports (via Twitter) that the organization has cut Matt McCrane. The 24-year-old’s stint with the organization was expected to be short-lived. The team signed the kicker to the active roster when they realized that Dawson wouldn’t be ready to go for Sunday’s matchup against the Raiders. McCrane ended up filling in adequately for the veteran, connecting on all three of his extra point attempts in the loss. The Kansas State product also had a three-game stint with the Raiders earlier this season, connecting on five of his nine field goal attempts (including a career-long 44-yarder) and all five of his extra point attempts. Otherwise, the undrafted rookie spent a portion of his season on Arizona’s practice squad. Prior to this past weekend, the 43-year-old Dawson hadn’t missed a regular season since he was with the Browns in 2009. He’s appeared in nine games for Arizona this season, connecting on four of his six field goal attempts and all 14 of his extra point tries. The Raiders waived kicker Matt McCrane, according to Matt Schneidman of the San Jose Mercury News (on Twitter). To replace him, the Raiders signed Daniel Carlson. The Raiders signed McCrane after losing Mike Nugent to a hip injury, but he didn’t kick like Nugent in his three games with the team. He went 5-for-9 on field goal tries, and just 2-for-6 when subtracting chip shots from 20-29 yards out. Carlson has had his own struggles this year. The fifth-round pick of the Vikings missed three field goals in Week 2, and was quickly dropped by Minnesota. Carlson will make his Raiders debut on Sunday when the Colts travel to Oakland. After 17 seasons featuring the same kicker, the Raiders are pivoting to a third in the past two years. While Mike Nugent battles a hip injury, the Raiders are adding another leg in rookie UDFA Matt McCrane, Mike Garafolo of NFL.com tweets. McCrane went to camp with the Cardinals this year. Nugent was only added after Oakland opted to cut Giorgio Tavecchio, its 2017 kicker. Tavecchio was also on the list of specialists the Raiders auditioned on Tuesday, with Sirius XM Radio’s Adam Caplan reporting (via Twitter) Tavecchio joined McCrane, Michael Badgley, Jon Brown and Trevor Moore. Nugent suffered a hip malady in the Raiders’ loss to the Dolphins on Sunday. He remains on the Raiders’ roster, giving them a two-kicker setup going into Week 4. The Raiders used Tavecchio last season and Nugent for the first three games of this one, after Nugent beat out rookie UDFA Joel Pineiro for the job. Prior to that, Sebastian Janikowski served as the Raiders’ kicker from 2000-16. 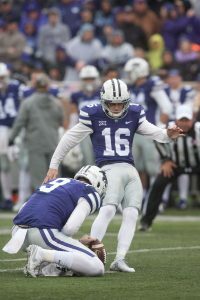 A Kansas State product, McCrane spent four seasons as the primary kicker for the Big 12 program. He made 57 of his 66 career kicks — by the end of his sophomore season he’d made 25 of 26 kicks — and earned an invitation to the East-West Shrine Game. He could not beat out Phil Dawson for the Cardinals’ kicking job in camp.